There is so much emphasis these days on having a dazzling white smile that we often forget that removing stains and discoloration is just part of the equation. Teeth that are out of alignment or a bite that is incorrect affects the smile as well. Crowding, gaps, overbite, and other misalignments affect roughly 74% of adults. The dangers are more involved than a smile that isn’t white. Time takes a toll on teeth, and a misalignment exacerbates the toll. Uneven wear and chipping result when a person exerts pressure and the teeth are in the wrong configuration. This problem makes bacterial decay more likely. It causes gum disease and can travel throughout the body, causing heart disease and other problems. It isn’t too late to deal with a misalignment. Adults who are self-conscious about the idea of wearing traditional braces should talk to their dentist about Invisalign. 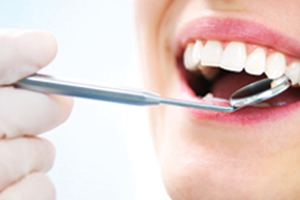 The health benefits of straight teeth are just too important to ignore.